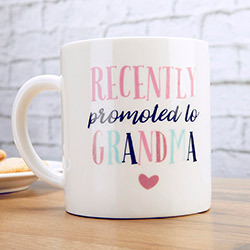 A new baby not only makes new moms, they also make new grandmas! 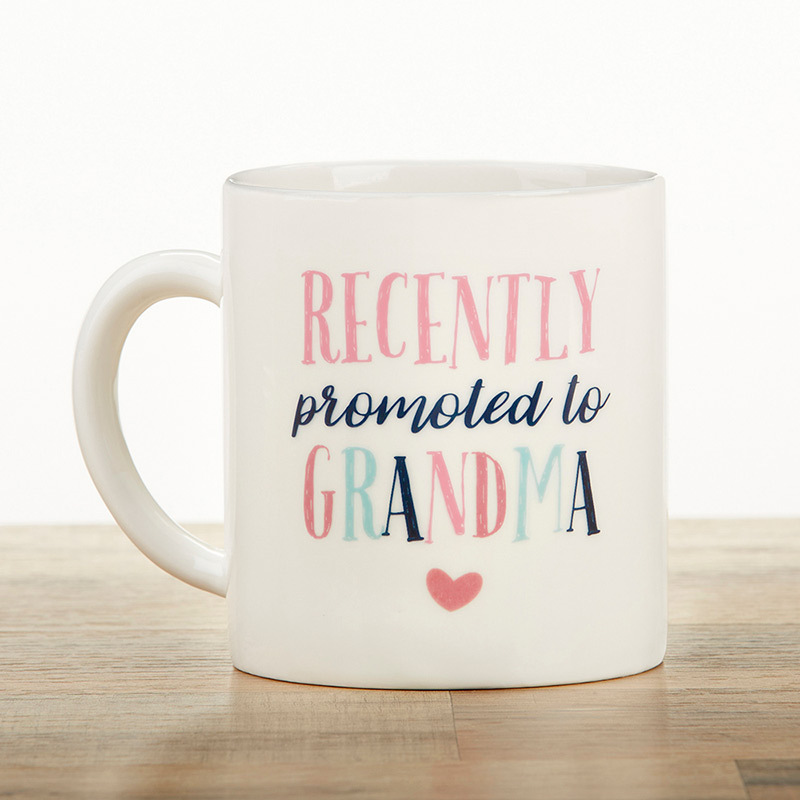 Kate Aspen's Promoted to Grandma Mug is the perfect novelty mug for expecting parents to use to break the news to the soon-to-be grandmas in their life, a way to treat at the baby shower with a gift for grandma, or as a "just because" with an adorable and useful gift! 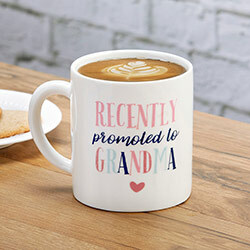 The white ceramic mug has "Promoted To Grandma" printed in a multicolor design of pink, navy, and mint, with a pink heart sweetly located just under the mug's text. 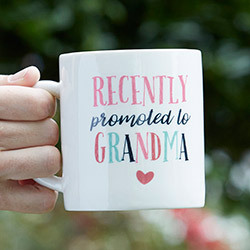 The mug holds a full 16 oz. 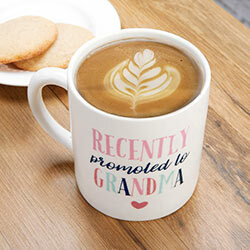 of any favorite warm sipping beverage! 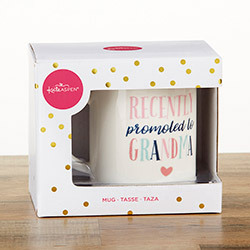 Ceramic mug in white with "Promoted To Grandma" message printed in pink, navy and mint. 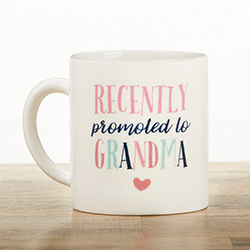 Under text is a small pink heart design. Mug holds a full 16 oz. Mug measures 3.5" w x 4" h x 3.5" d; 4.75" w (with handle).